As the big day gets closer, the day you start college for the first time, it’s important to make sure you’re organized, and you have every box ticked. It is daunting, but starting college is an adventure, and something which you should approach as a fun, positive step in your life. You probably did some sort of paperwork previously to even get into college, but having been accepted, have you signed all the forms for your accommodation? Do you need to send anything off in terms of money or bursaries? Is there any other piece of paper lurking that you haven’t sent off yet? You need to take many things with you as you leave home, but this is no easy task! Bear in mind that many dorm rooms are small, basic, and usually furnished, but you can easily make it homely. Pack light, but effectively. You can buy many things once you arrive, such as bedding and towels etc. When it comes to meeting your new roommates/neighbours, don’t be shy! You need to create bonds early on, which will make your college life easier, and more fun overall. There will be many activities during Fresher’s Week – get involved. Summertime is over, and that means long mornings in bed are finished! In the week leading up to your leaving day, try and adjust your body clock to getting up when you would at college. This all means it’s less likely to be a huge shock when the event occurs. This is something you can start getting used to in the weeks leading up to your college start date – budgeting. During your college life you are going to need to organise your money, in order to make sure that everything gets paid, and that you have enough to enjoy yourself. Ask for advice, speak to your parents, basically organise your money and stick to it. When reaching for that perfect mark, you have to think a little outside the box. Thankfully there are many study tools to help. Etherpad – If you are collaborating with other students on a project, it can be difficult to send work back and forth – this particular tool means you can collaborate online and share content easily, minimising oversights. Getkahoo – Learning can be fun. You can work with other students or alone, and the multiple choice quizzes will help cement your previous learning, or help you with a subject you’re struggling on. Boomessays – Academic writing doesn’t come that naturally to everyone, and in that case, a writing consultant is the way to go. This site helps you put together that perfect essay. Haikulearning – Sharing knowledge is the perfect way to help others and help yourself. Here you can create pages and publish your knowledge, whilst also accessing content from other users online too. The Homework App – If you need help organising yourself and your studies, this is a handy app on your iPhone or iPad which will make your life infinitely easier. Mindmeister – We mentioned sharing before, but collaborating with other users can be just as effective. You can share ideas in a visual way on this site, which helps you gain ideas for your own college work. Essayroo – Aussie students can access online tutor help from highly trained professionals in their particular field on this site. 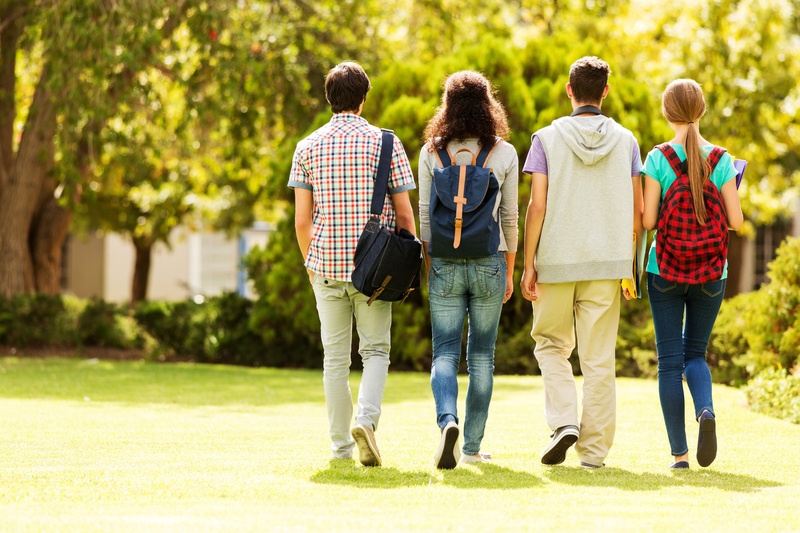 These tips should help you on your way to your first day at college, without a hitch. Gloria Kopp is a web content writer and an e-learning consultant from Manville city. She graduated from the University of Wyoming and started a career of a creative writer. She has recently launched her Studydemic educational website and is currently working as a freelance writer and editor. All views and opinions of guest authors are theirs alone and are not representative of the views of Petersons.com. Check our website often for the latest in test prep materials, blogs, and tools, including EssayEdge.